구 도립대구병원(현 경북대학교 의과대학병원 본관)은 일제 강점기 때 1928년 도립 대구의원으로 지은 2층의 붉은 벽돌(조적조) 건물이다. 이 건물은 구 대구의학전문학교 본관(사적 제442호, 현 경북대학교 의과대학 본관)건물과 마주보며 배치되어 있다. 건물은 북향하여 동서로 길게 배치되었으며 지붕은 모임지붕 형태로 기와를 이었다. 평면은 ‘ㄱ’자 모양으로 중복도(中複道)의 양측에 각 실(室)을 남향과 북향으로 배치하였으며, 정면 우측의 익사(翼舍)에는 편복도를 설치하고 동향으로 실을 배치하였다. 건물 구성은 정면 중앙부의 현관 포치(Porch)를 중심으로 대칭을 이루고 창인방과 처마부를 화강석 수평돌림띠(Cornice)로 장식하여 르네상스적 분위기를 느끼게 한다. 건물의 외관구성에 나타난 특징은 네모반듯한 지붕을 이은 사각탑(Turret), 수직으로 긴 반원 아치(Arch)창, 페디먼트(Pediment), 지붕면의 도머(Domer)창, 난간벽의 치형(齒形) 장식수법, 화강석 다듬돌로 구성한 수평돌림띠(Cornice) 등의 형태요소들을 적극적으로 채용하여 정면성과 대칭성을 강조하고 있다. 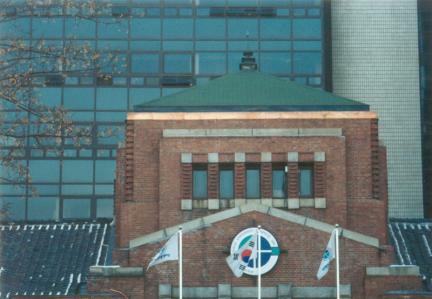 한국 근대 병원건축의 특징을 잘 보여주는 건물로, 우측 익사가 철거되고, 정면 좌측에 증축된 부분이 있으나, 전체적으로 원형이 잘 보존되어 있어 역사적·건축사적으로 높은 가치가 있는 중요한 유적이다. 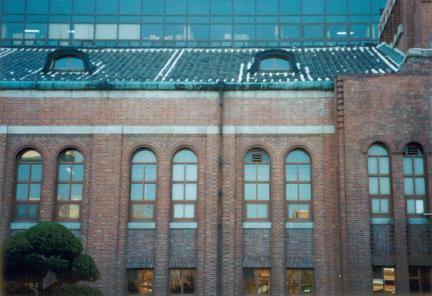 The former Daegu Provincial Hospital (presently Kyungpook National University Hospital) is a two-story red brick building constructed in 1928. 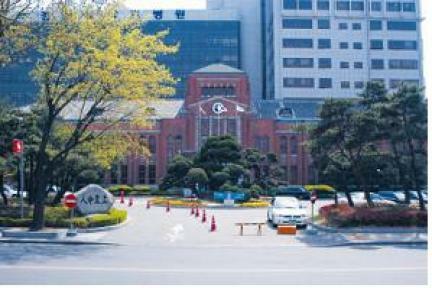 It stands opposite the administration building of the Main Building of the former Daegu College of Medicine (Historic Site No. 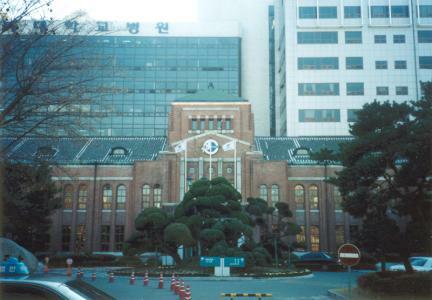 442, presently Kyungpook National University Hospital). 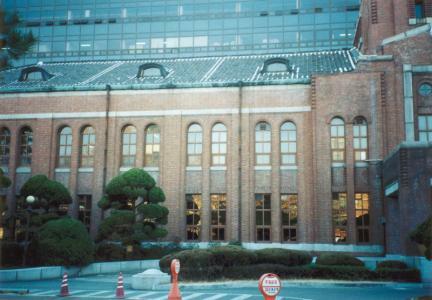 It has a northern aspect and a long east-west axis, with a hipped roof covered with tiles. 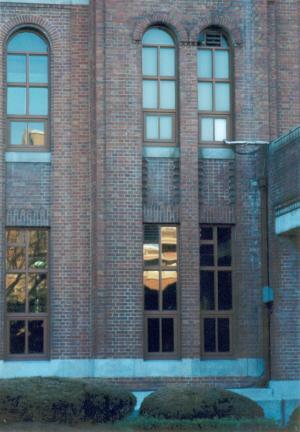 The layout is L-shaped with a central corridor, with the rooms on either side facing north and south, respectively. 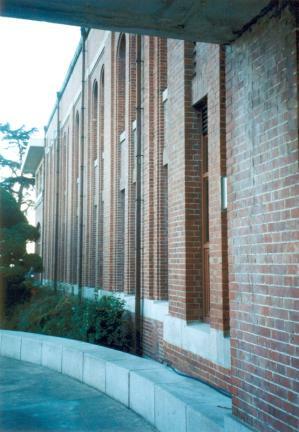 The wing on the right side at the front has a one-sided corridor with the rooms facing east. The building facade is symmetrical from the front porch, having a Renaissance feel with a granite cornice under the eaves and lintels. The distinguishing features of the facade are the turret with square roof, long arched windows, pediment, dormer windows on the roof, crenellated parapet walls, and granite cornices. These elements have been used to emphasize the surface and symmetry. 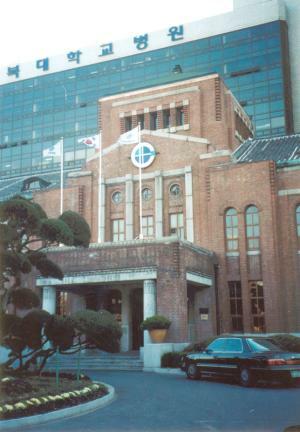 This building shows the characteristics of modern Korean hospital architecture; while the right wing has been demolished, and the left side of the front has been expanded, the original structure has been well-preserved in general; hence its historical and architectural value.